The first month of 2018 is coming to a close and we're already on track to make this year more eventful than the last! During the holiday season we released a record number of maps to the Minecraft Marketplace in a single month (and a skin pack too) which never would have been possible a year ago and we're incredibly excited to bring you even more this year! As well as maps, we're working on getting more hands on with our community! Game nights are back up and running after the Christmas break, UHCs will be returning in February and weekly streams are back too. The biggest news however is the return of our Noxcrew & Friends survival server! Last week we announced that we would be bringing back the roleplay survival server that was last seen back in 2015, but this time with a brand new custom modpack which has been put together by Noxite to enhance your experience on the server. If you want to learn more about the server and how you can get involved, click here. The server opens its doors on February 1st at 6pm GMT but you can join our Discord server right now to meet your fellow players and start planning! 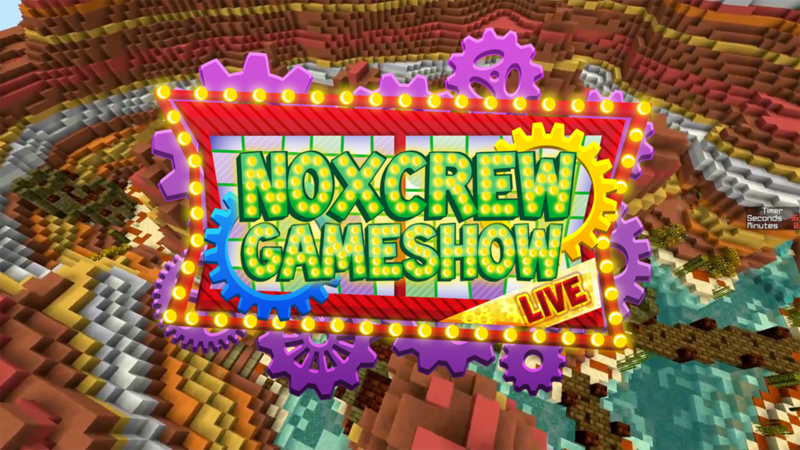 In the spirit of bringing joy to our fans and community, on Saturday 20th of January we took to Twitch.TV to host the Noxcrew Gameshow Live for the first time since 2015. Patrons and viewers battled it out for ultimate glory in classic Nocrew Gameshow style! If you missed it then don't despair, you can watch the full stream right here or keep an eye out for more streams like this in the future and you can get involved! In between streams, our builders and map designing team have been working on some exciting new projects for this year! We've had so much amazing feedback about our adventure maps and we're going to try and bring you even more adventurous maps over the coming months. And yes, there will be a Spring edition of our Mini-Games Festival series.